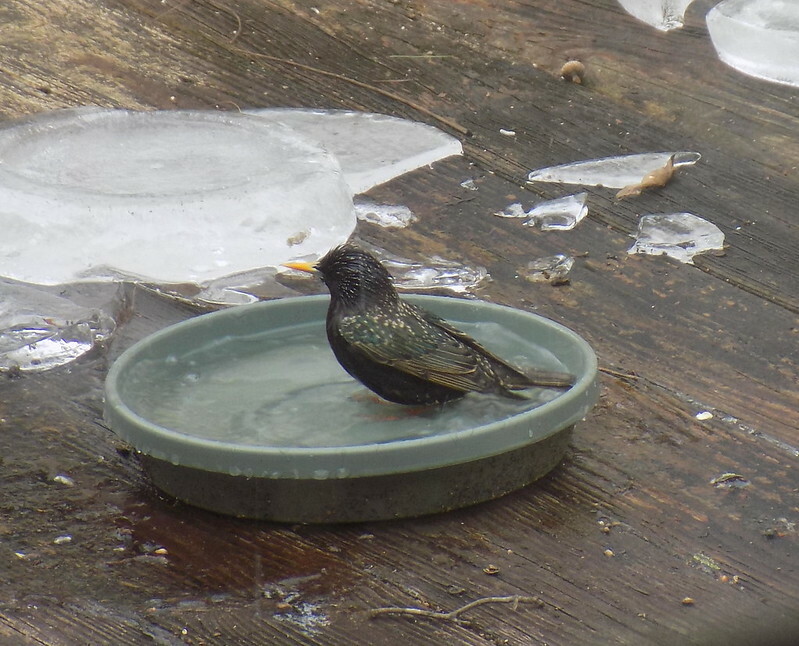 The starling above was enjoying a chilly mid February bath while the sparrow below was debating. The birds are starting to sing earlier and earlier which usually indicates spring won't be too much longer. 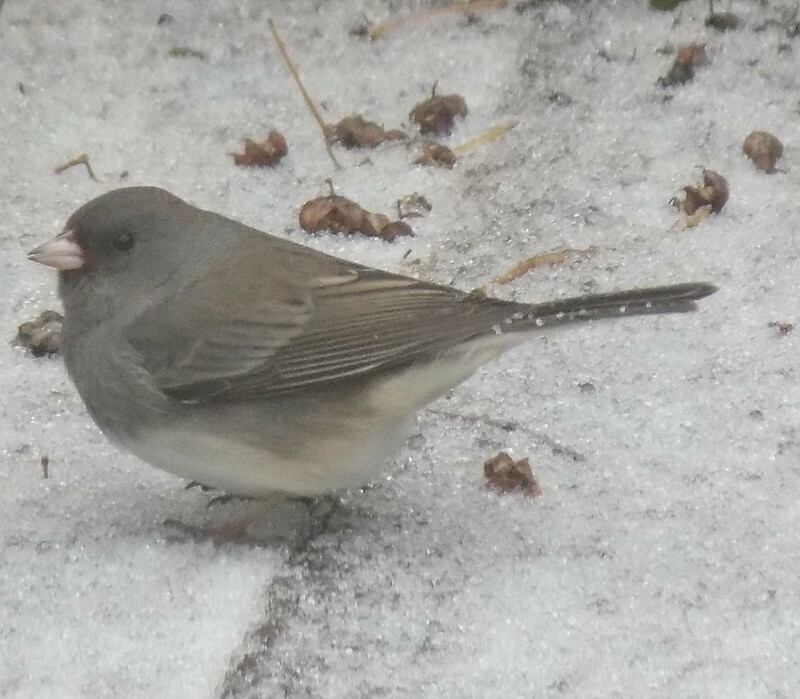 The male cardinal above and the junco below are no doubt ready for spring. 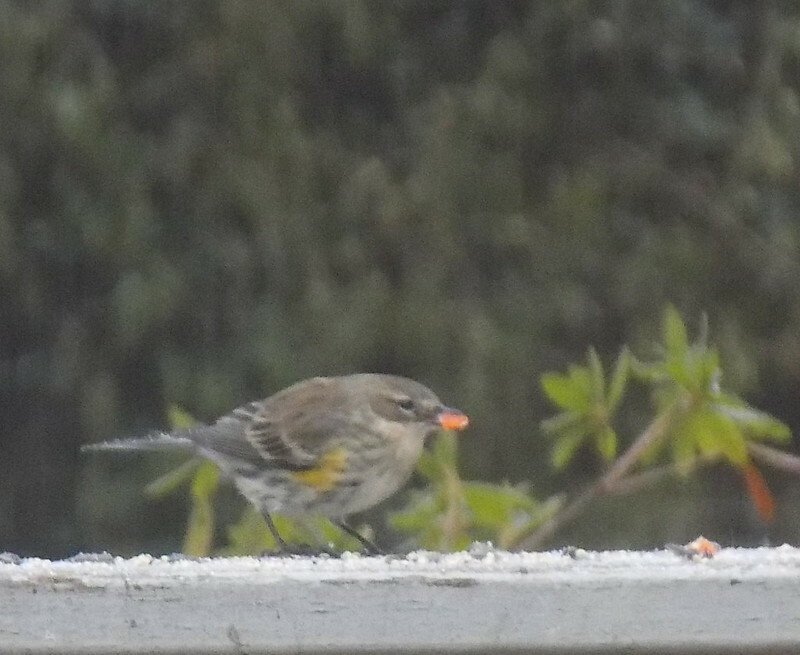 I think the bird below is a yellow rump warbler with a piece of dried fruit in his mouth. 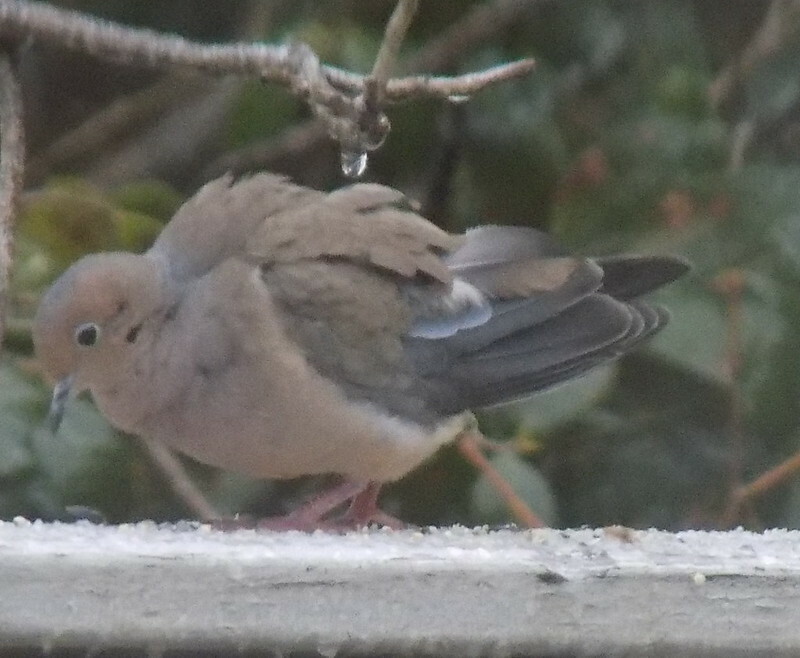 The mourning dove looks rather intent on the supplemental food I put out during a day of sleet and freezing rain. 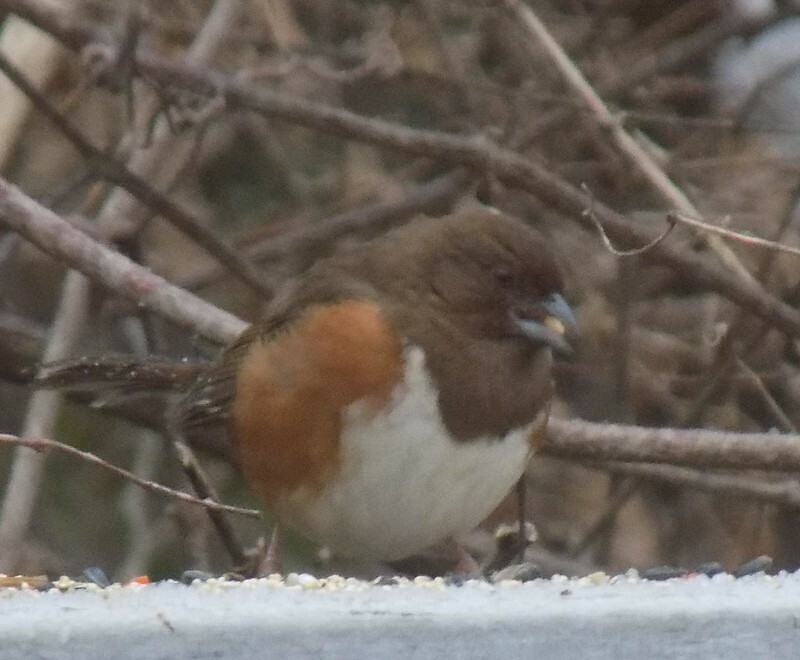 Next a female rufous-sided towhee. 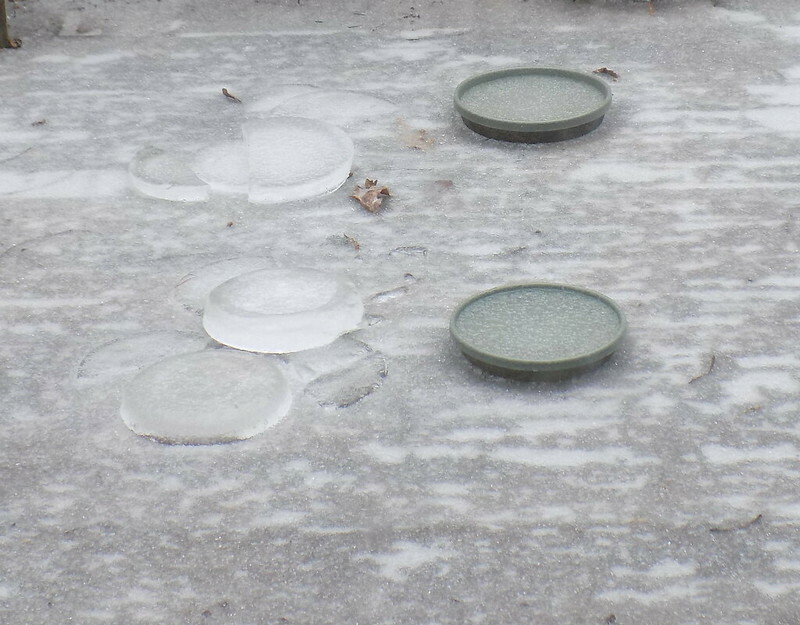 I could have used ice skates on my deck when I took the next shot. 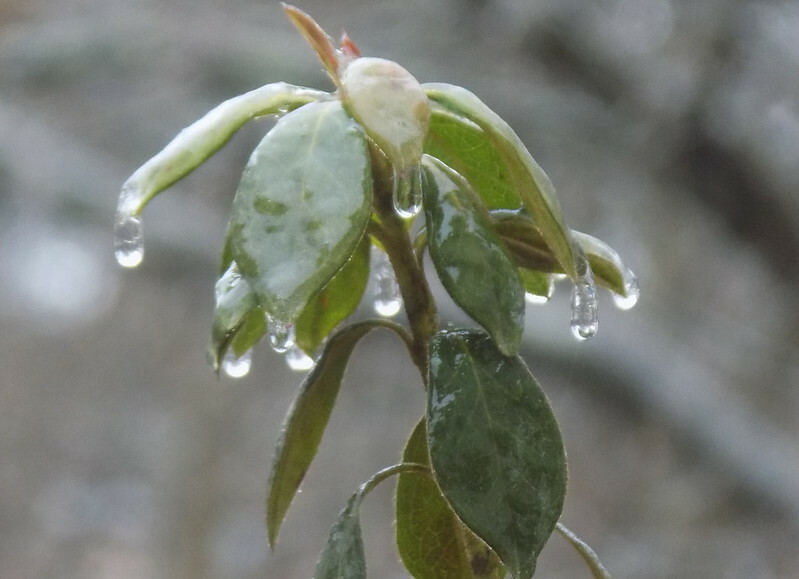 This past week started off cold but by the end of the week was like spring. 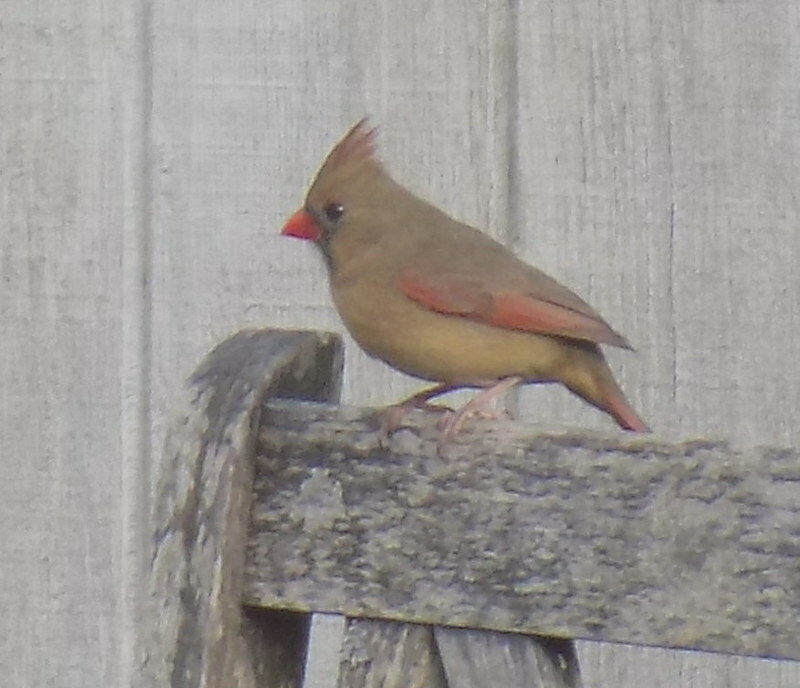 The female cardinal was enjoying a pleasant day on my deck. 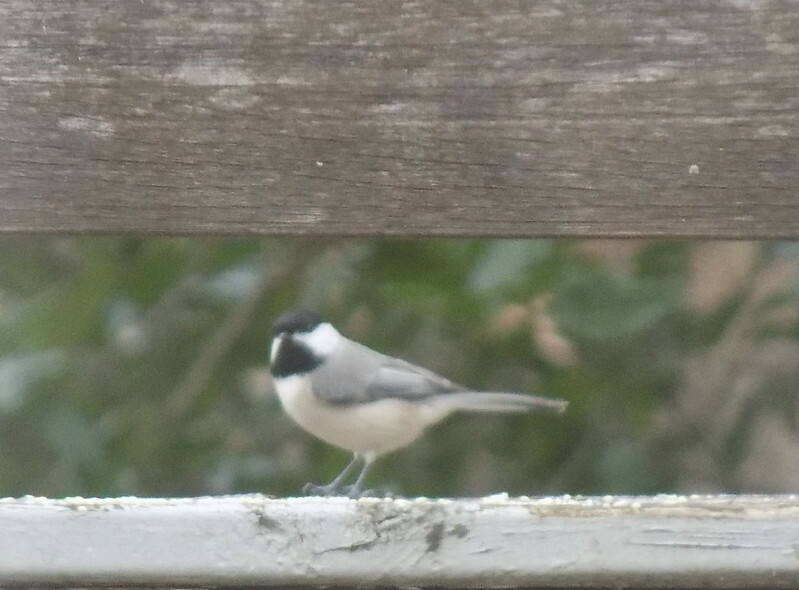 Next a stylish looking carolina chickadee. 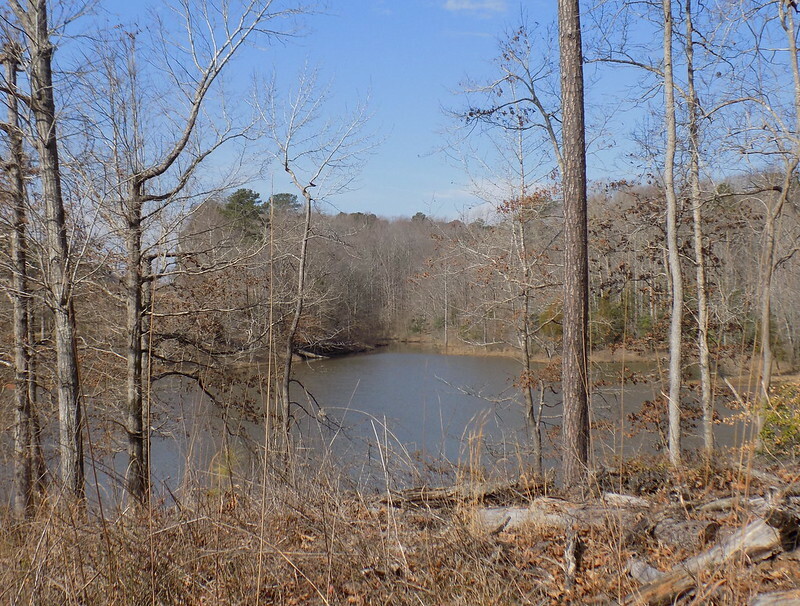 The rest of the shot are from a Sunday walk today in central NC at Upper Barton Creek in Wake County. The temperatures were very spring like. 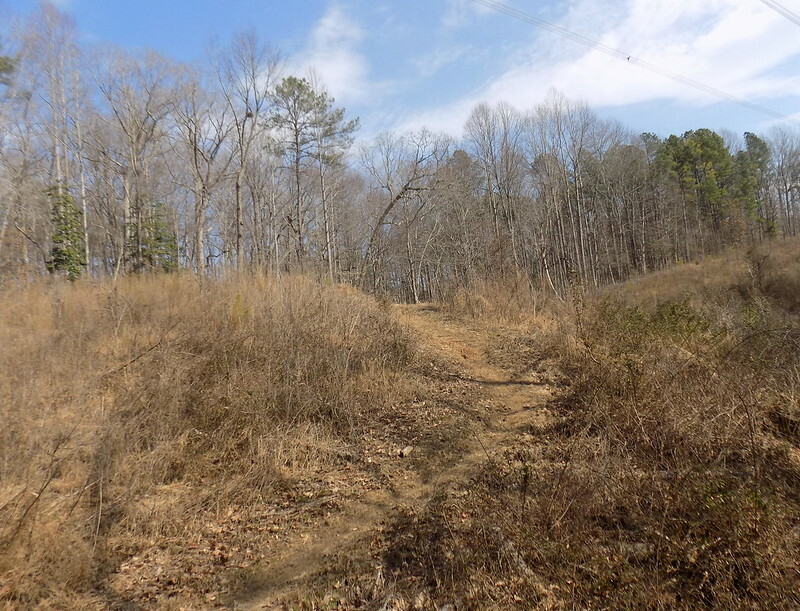 Our average last frost date is in April and I'm sure it will turn cold again before winter ends but nice to have a perfect weekend for getting outside. 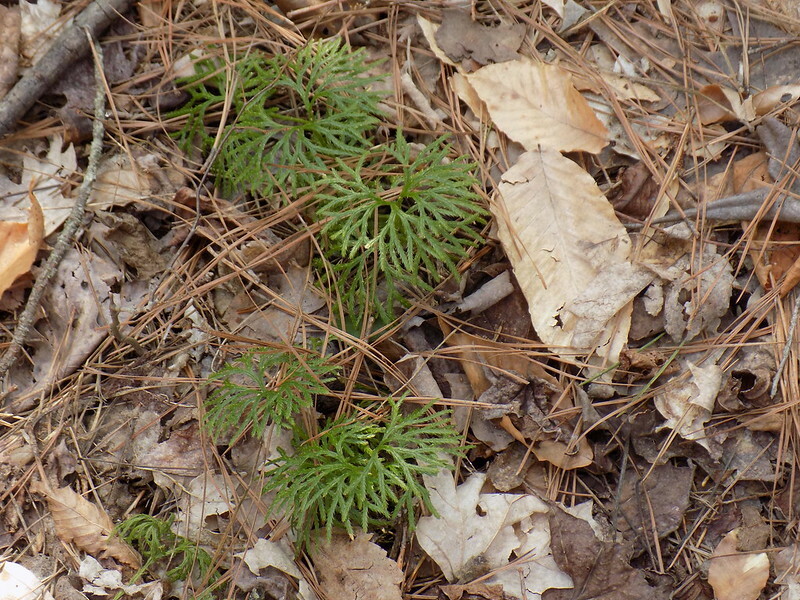 Nice to see running cedar making a comeback in the woods since over collection and and habitat destruction have made it less common than it once was in many areas. A chilly bath indeed. These birds are not migratory? Too bad we can’t put boots on bird feet. :) It is amazing how they manage in such freezing weather. 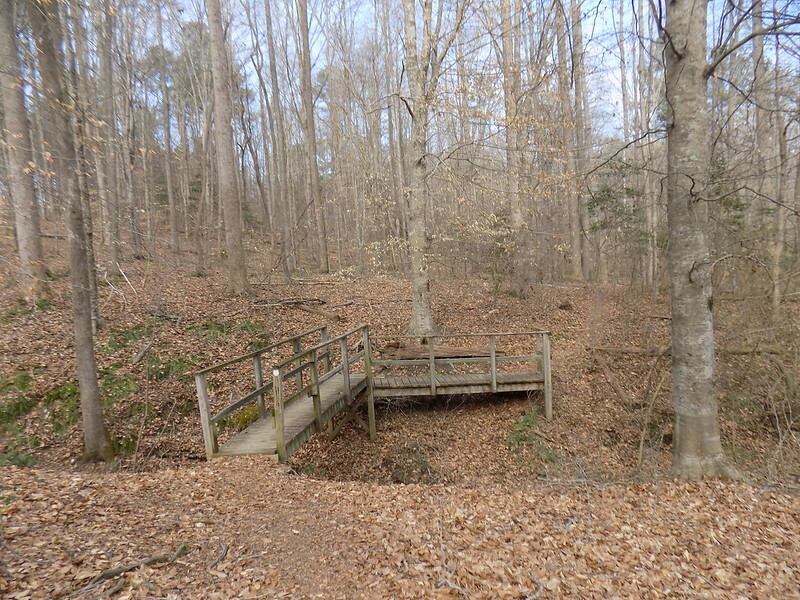 Your picture of the little bridge amid the stark forest is magical. Soon it will be all green! 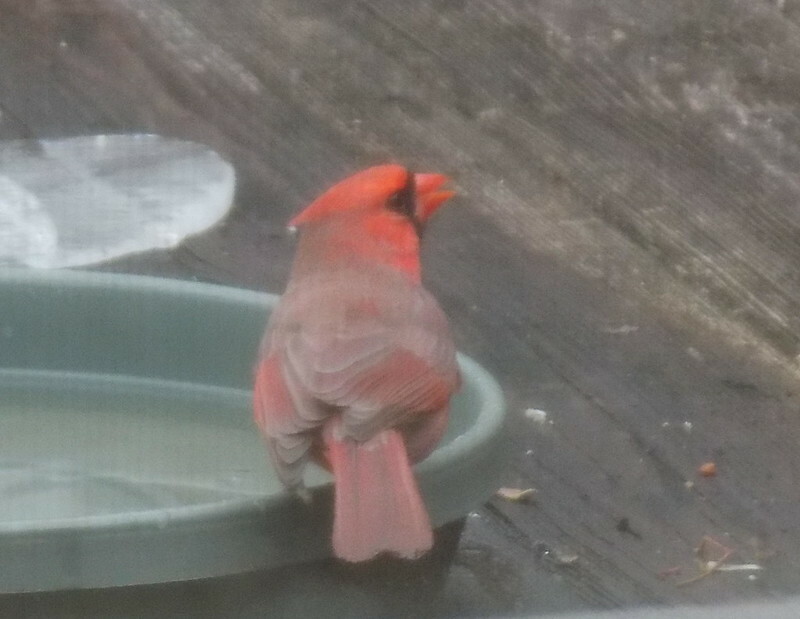 Wonderful photos of all these birds! Looks like a really chilly bath.. 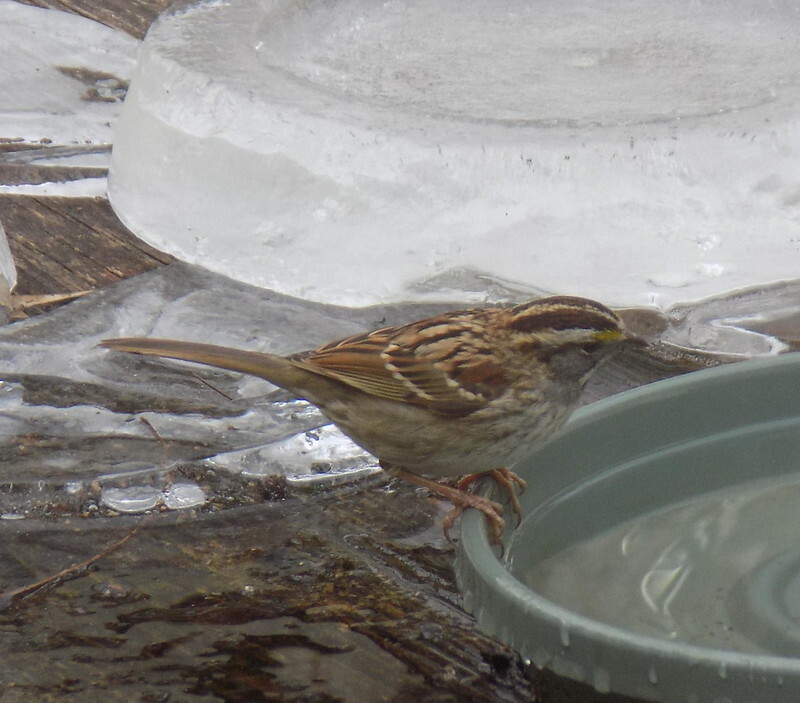 Still cold here...but the birds are handling it. Wonderful birds!